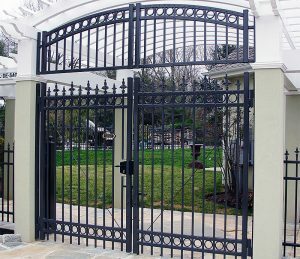 Gates occupy an important place in both the physical protection of our property and the way we present our home or business to the world. A driveway gate is usually the entryway for any visitors you receive, and is often the first thing they say upon arriving at your address. 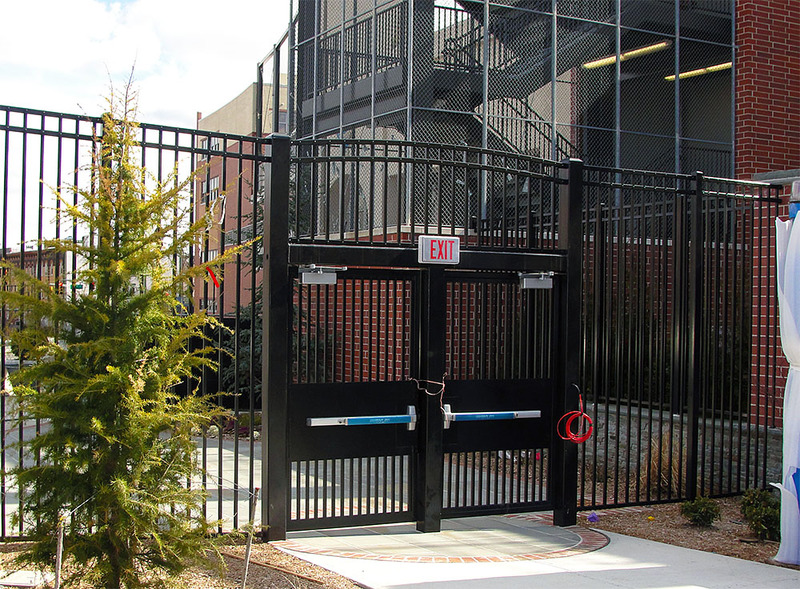 A fence gate also stands as a potential target for those looking to compromise the security of your facility, either by breaking in or damaging the gate itself. As a result, it’s important that a gate be both visually impressive and structurally sound, ensuring that the visitors you want are blown away and the visitors you don’t want are kept away. We’ve been dedicated to providing iron gates and other entryways to our clients for over 30 years, and we can’t wait to start building yours. Northeast Fence and Iron Works are renowned for our magnificent driveway gates, as much works of art as they are effective security measures. 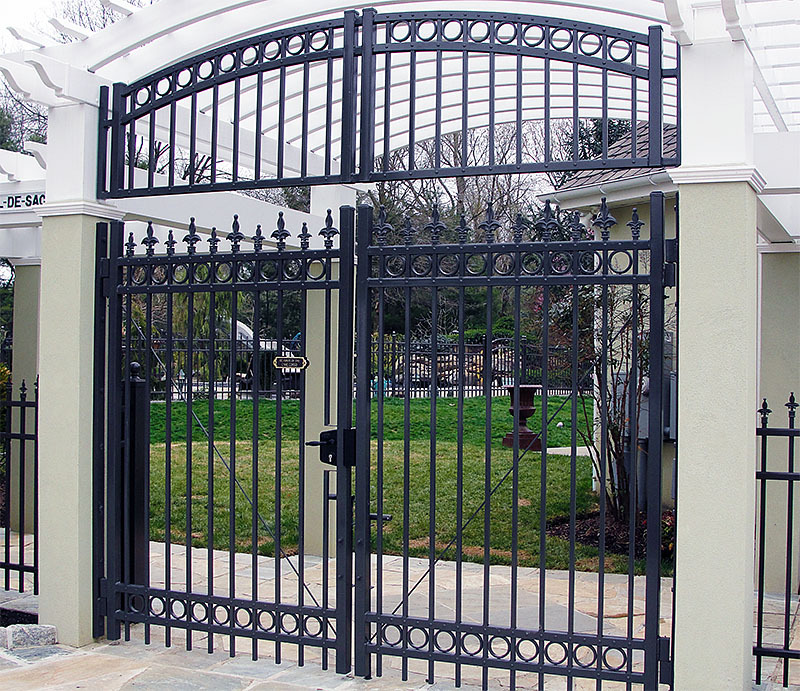 When a chain link fence doesn’t offer the visual appeal or security that you require to keep your home or business safe, an iron gate can satisfy both needs with style to spare. We use only the highest quality wrought iron parts, which is particularly important in gate construction as it ensures that the joints and hinges will remain in perfect condition even after years of opening and closing. 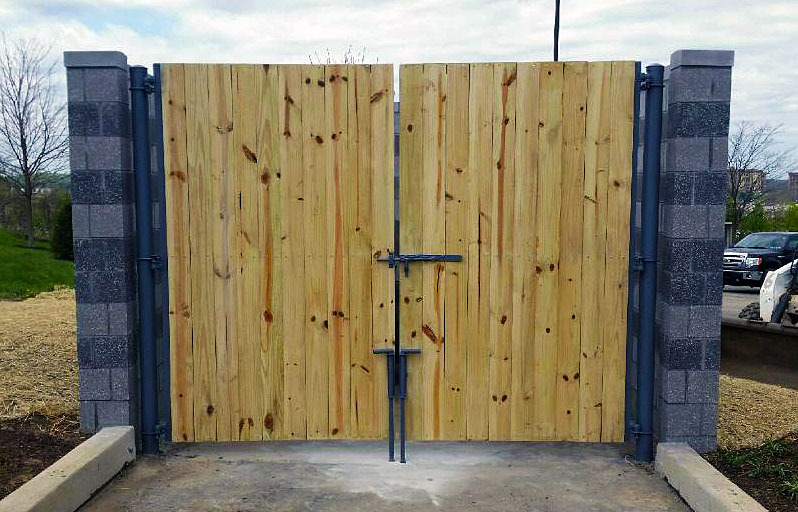 Whatever your specific needs, we’re dedicated to working with you to create a gate that will meet all of your requirements. From fence gates to driveway gates, we do it all. If you don’t see what you’re looking for on our site, give us a call – we guarantee that we can build exactly what you have in mind. You can also reach out to us directly by email or phone call in order to receive a quote, request additional information or tell us what kind of driveway gate or other project you’d like to have installed. Pick up the phone today! 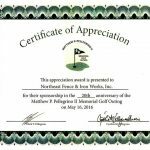 Northeast Fence and Iron Works designs, sells, and services the highest quality commercial and industrial cantilever slide gates. 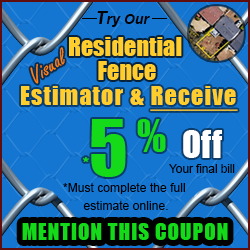 Expert and experienced gate installation crews available throughout Pennsylvania, New Jersey, Delaware, and Beyond. View our image gallery for more gate images. 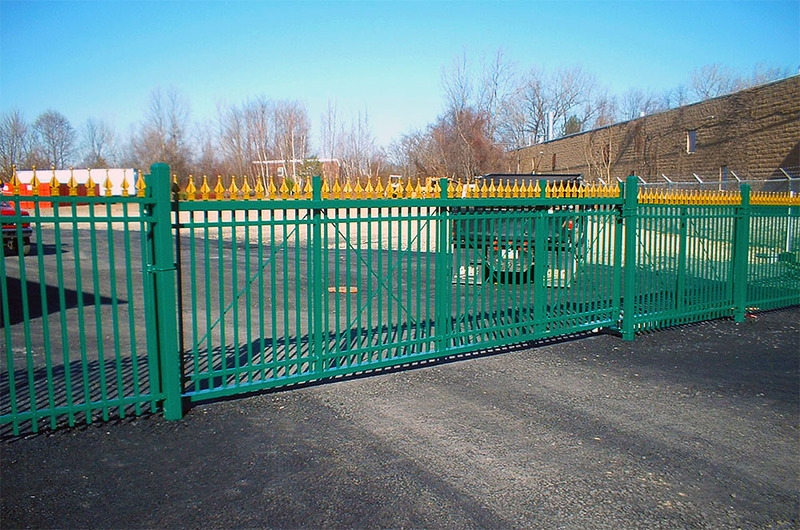 Northeast Fence and Iron Works designs, sells, and services the highest quality commercial and industrial security gates. 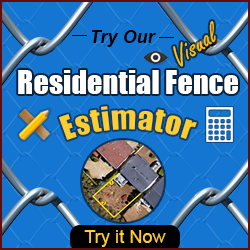 Expert and experienced gate installation crews available throughout Pennsylvania, New Jersey, Delaware, and Beyond. View our image gallery for more gate images. Double Drive gates are incredibly versatile and attractive gates used for any type of property. 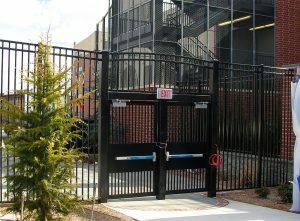 Residential, commercial, and industrial properties can all use the addition of the double drive gate for quick access, added security, and even different types of enclosures. A double drive gate combines two identically sized gates using a drop rod and latch in the middle to secure the two gates and create a unique, eye catching design. Made with steel, ornamental iron, aluminum or vinyl, these gates can be fabricated and engineered to accommodate your every desire. 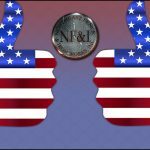 Call us for a free gate estimate | view our work | email us | NF&I Gate products are made in the USA!